Collie O’Neill’s Students ran riot. RICHIE O’FARRELL SCORED a second-half brace as UCD climbed from the foot of the table at the expense of Finn Harps with a richly deserved 3-0 win over the Donegal side. The midfielder was the best player on the park in the first half and stepped it up after the break as Collie O’Neill’s Students ran riot. 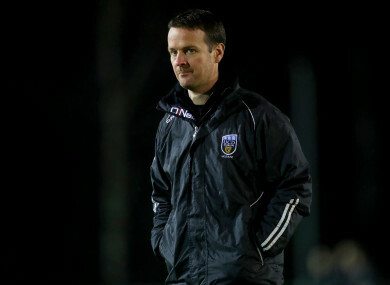 Timmy Molloy had given the home side the lead just past the hour as a determined but limited Harps side – missing the influential Gareth Harkin – wilted amid the relentless pace. UCD could, and perhaps should, have taken the lead within two minutes as a mistake let in Kevin Coffey but, with just Ciaran Gallagher to beat, he shanked his shot wide. O’Farrell, who was this week called up to the Ireland under-19 side for the elite Euro qualifiers, had his first chance after five minutes from Yoyo Mahdy’s pass but Gallagher saved well. He hit the post seven minutes later after turning two defenders in the box, and he had a case when he appealed to referee Rob Harvey that his shirt was being pulled. Harps had chances of their own but they were restricted to long-distance efforts from Sean Boyd and Caolan McAleer, though McAleer did come close with a shot from Harry Ascroft’s pull-back. The Students moved through the gears after the break and they simply had too much for a Harps side who have suffered more than any with travel this year, this their third visit to the capital. Captain Gary O’Neill was desperately unlucky to see his 30-yard free kick tipped on to the bar by Gallagher, but they didn’t have to wait long for the breakthrough. Mahdy showed good strength and skill to eke out a yard and shoot in the box and, though Gallagher managed to parry it, Molloy was on hand to turn home the opening goal. O’Farrell got his first ten minutes later, latching onto a perfect through-ball from Gary O’Neill before sliding the ball coolly into the far corner. And the winter recruit from St Patrick’s Athletic added his second seven minutes from time, curling home at the second attempt after his first shot was blocked. UCD: Kearns; Tobin, Scales, Collins, Dignam; O’Farrell, O’Neill, Molloy; Coffey (Farrugia 76), McClelland, Mahdy. FINN HARPS: Gallagher; Scott, Borg, Cowen; Kavanagh, Ascroft, Coyle (Boyle 65), Cretaro (McNamee 72), O’Reilly; McAleer, Boyd. Email “O'Farrell brace helps UCD to comfortable victory against Finn Harps”. Feedback on “O'Farrell brace helps UCD to comfortable victory against Finn Harps”.